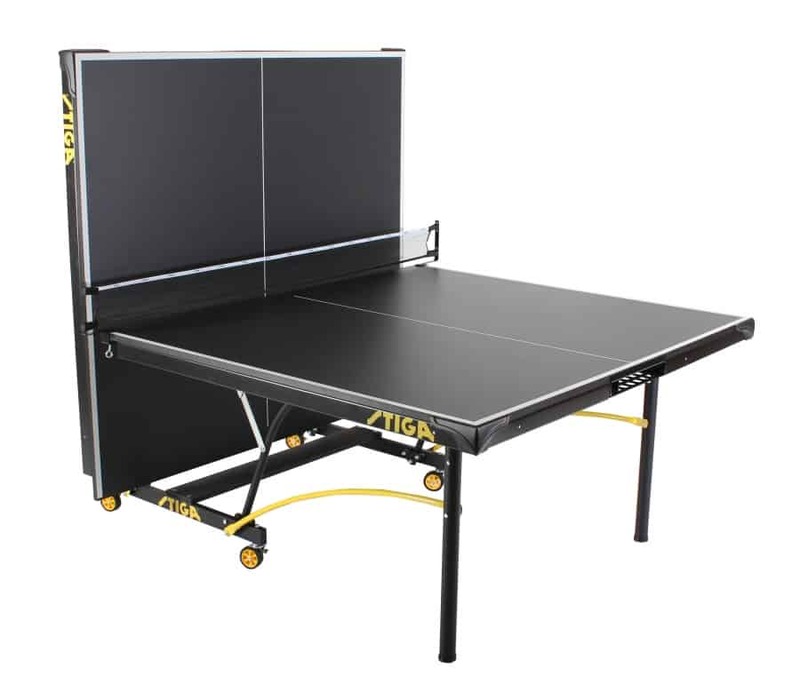 Face off against your biggest rivals on the Stiga® Master Series ST3100 Competition Indoor Table Tennis Table. Experience optimal bounce and surface response as you respond to your challenger with powerful returns. The Stiga Master Series ST3100 features an integrated ball storage apron that holds 12 balls per side, and includes a net and post system. Playback capabilities allow you to hone your technique and store the table compactly.